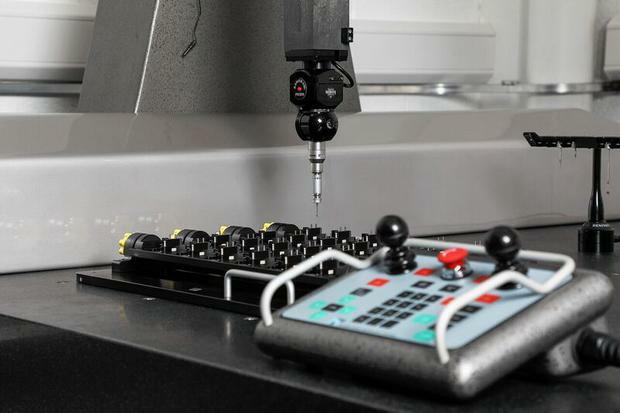 Established in 2008 by current Managing Director Andrew Hodson and Technical Director Michael Nugent, Verus was the first independent metrology lab in Ireland – and is now the largest in the country. The company works with firms, mainly in the medtech sector to ensure the precise, scientific dimensional measurement of their products. Verus started at a 'hot desk' at IT Sligo’s Innovation Centre and is now celebrating its 10th anniversary with the launch of its new facility, based at Cleveragh Industrial Estate. Verus is retaining its Aughamore Far Industrial Park unit in Sligo and will be using it as a centre for research and new product development. Managing Director and co-founder Andrew Hodson said the company is "breathing new life into an area which has been the home of toolmaking and injection moulding in Sligo City". "We spent €800,000 on the facility, which needed extensive refurbishment as well as new world-class equipment. The facility is on the first IDA industrial site in Sligo, built in 1977, and home of the toolmaking trade in Sligo City and it is great to see it full of life again." Some €150,000 of total investment came from Enterprise Ireland for the creation of eight new jobs at the firm, which currently has 20 employees. Officially opening the site this week, Minister for Business, Enterprise and Innovation, Heather Humphreys said that Verus Precision is an important high-skill regional employer in Sligo. "Enterprise Ireland’s investment will facilitate critical subcontract manufacturing activities being brought in-house with the creation of eight new high-skill jobs," she added. Verus currently operates a second laboratory based at Nottingham, UK, and plans open an independent metrology lab in the US next year. The group has grown to have a turnover of €2.5m and is looking at a projected €8m turnover in the next five to six years.